1872- First school built in La Veta. 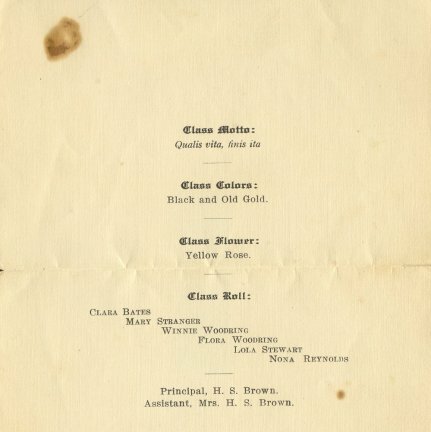 1881- A.G. Boone owned the La Veta school building. Teacher was Melvina Hammond. 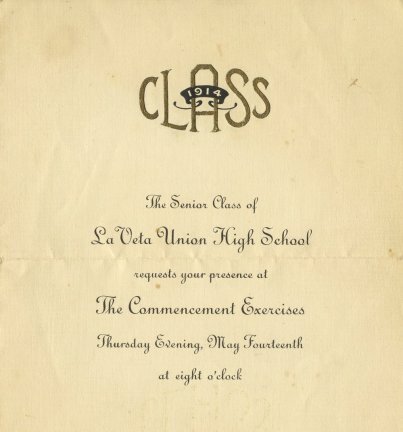 1882- Teachers at La Veta were Jennie Dunlap and Honora McQuisten. 1883- may- La Veta Election of officers, Treasurer S. L. Strange term had expired and President C. McComb had died. Eight votes were cast; 7 for Fred Pischel and one for J.C. Goss for president; seven votes for C.P. Noland and one for D.M. McCaskill for treasurer. 1883- La Veta Principal; Darius Conrad of Denver. Teacher Miss Fannie Davis. 1907 October La Veta: Robert Fuzzell, the teacher at the school house above Bemen's sawmill, died of tuberculosis at the Springer Hotel. 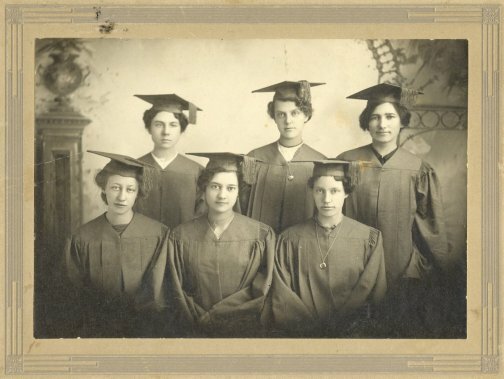 Clara Bates (upper right), Mary Stranger, Winnie Woodring, Flora Woodring, Lola Stewart, Nona Reynolds.